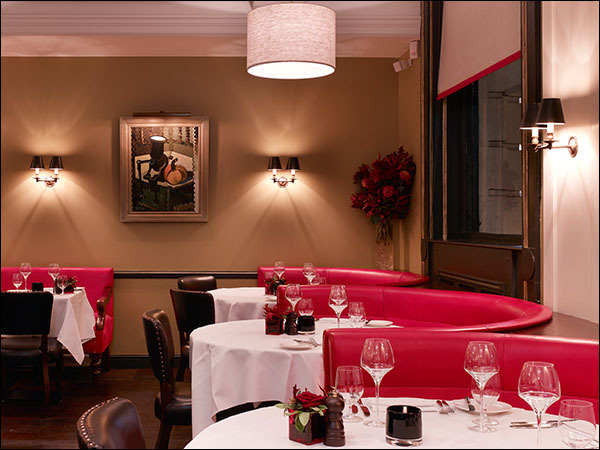 du Boulay are delighted to announce that Villandry St James has been shortlisted for the NAS Design Partnership Awards. Villandry’s latest opening is sited in a stunning Grade II listed building originally built a century ago in 1914. 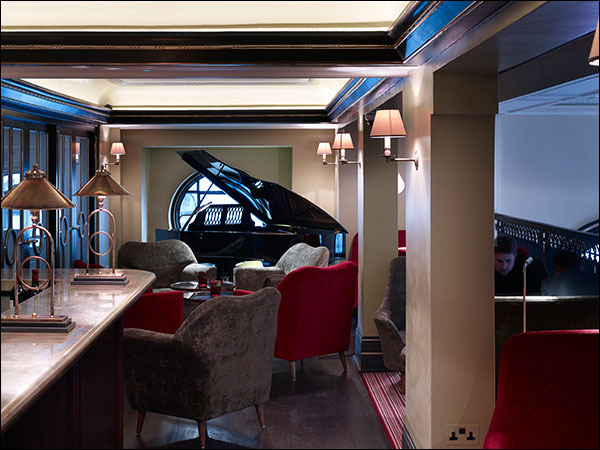 Designed by Stiff +Trevillion Architects and William Nickerson Interiors, the theme centres on the 19th Century Parisian Grand Café. 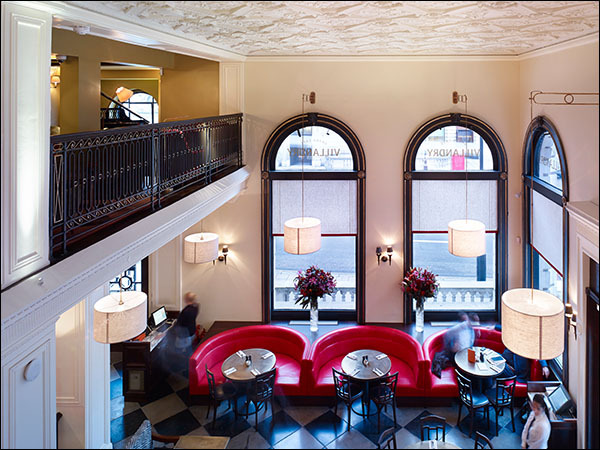 Original listed elements have been carefully retained and refurbished – the ornate fibrous plaster ceiling, the wrought iron balustrade and the marble staircase. The layout was developed around a central bar forming a focal point to the double height bar/café with views beyond to Waterloo Place. Chairs and banquettes were designed and made with red leather and dark oak. A new tumbled stone floor scaled to suit the dimensions of a large space was added. 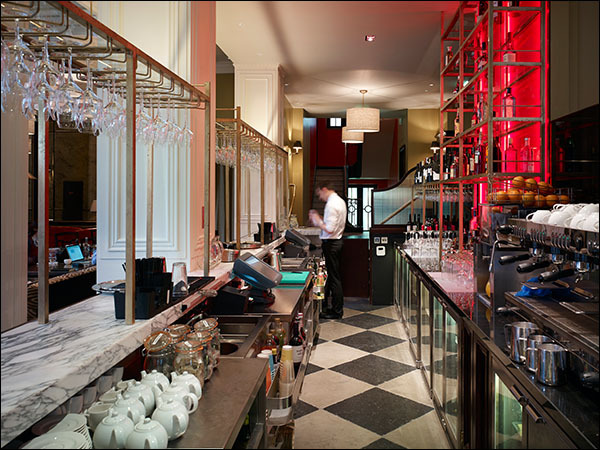 A large oak and marble bar with brass rails forms the centrepoint of the main room with a full height, red, back lit feature bar display. 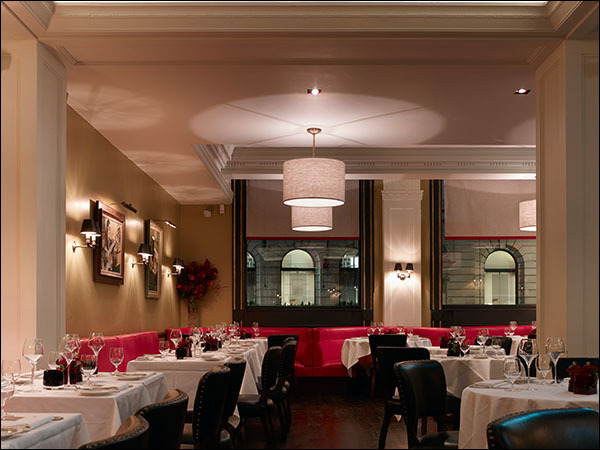 The Grand Café/restaurant was completed in mid November 2013 and is the first of a number of buildings from Piccadilly down to Waterloo Place that have been refurbished by the Crown Estate in their major redevelopment programme for the St James district.